I smacked another Doe at 10 yards. I gave her a MFX Classic tipped with a Wensel Woodsman. She went about 50 yards. congrats gotta love filling the freezer!!! Nice job, I like the orange bill on your cap. way to go Mitch! good shooting. 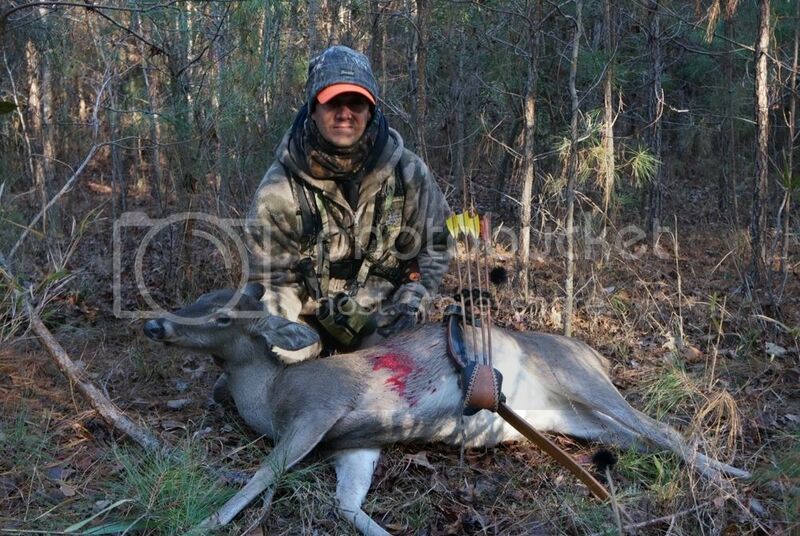 Congrats on a fine looking doe. It is an orange army hat. It is required for bow hunters when the bang sticks are barking.